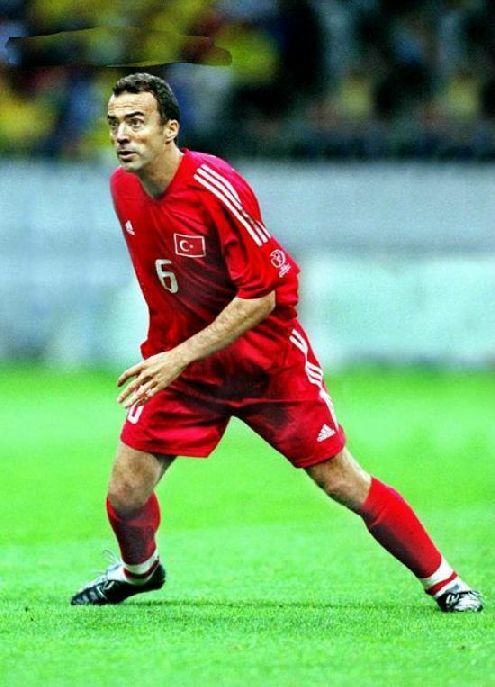 Turkey's Arif Erdem, shown here during his playing days for the national team, was arrested two weeks ago for his alleged involvement in match-fixing. Although the playoffs (hockey and/or basketball, take your pick) still sit between us and the summer, the Canadian Broadcasting Corporation has already begun to promote their coverage of this year’s World Cup of Soccer in South Africa. There’s a growing an air of excitement surrounding the tournament. After all, it’s the biggest sporting event in the world, even more popular than the Olympics. Unfortunately, this time around I’m going to be watching the World Cup with a pretty sceptical eye. My disillusionment began in Dec. 2008 as I read Declan Hill’s The Fix, an investigation into the world of sports fixing by a journalist who used to work with the CBC and the British Broadcasting Corporation. I reviewed the book on my now defunct blog, but in short: Hill uncovered a far-reaching criminal underworld that exerts its influence over many sporting events. Hill chose to focus his investigation on soccer matches and his findings were startling. According to him, there are two kinds of match-fixing scenarios. 1) Internal – When a member of a team gives incentives to officials or the players on opposing clubs to give his team an advantage. Author Joe McGinniss details this kind of fix in The Miracle of Castel Di Sangro when he overhears several players discussing throwing their final game of the season against Bari. They had been asked to do this “favour” to insure that Bari would be promoted to Serie A. 2) External – When an outsider influences the outcome of a match for personal gain. Obviously, this is the more typical kind of sporting corruption, with the Black Sox scandal, when the Chicago White Sox threw the 1919 World Series at the behest of Arnold Rothstein, serving as a sterling example. In The Fix, Hill uncovers evidence of many professional matches being thrown world-wide. The climax of the book is when a mobster assures him that the World Cup itself is fixed. The gangster predicts the results of a handful of matches, down to when the goals are scored. Hill watches with growing horror as each one of the games ends just as described. Why is this pertinent now? Because last November German police arrested 15 people for fixing more than 200 games. Two weeks ago, Turkish police detained 40 people, including former international Arif Erdem, for their involvement in thrown matches. Germany’s Bundesliga and Turkey’s Süper Lig are not the best professional soccer league’s in the world, but they are hardly fly-by-night organizations. In fact, the German national team is one of the best sides in the world and a contender for the 2010 World Cup. With all this in mind, it will be hard to not be cynical when one of the favourites struggles against an opponent this summer. I simply can’t help but be a little jaded after reading The Fix and hearing about recent events in European soccer. 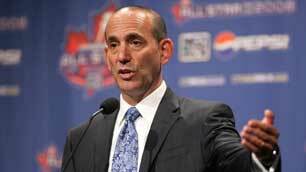 MLS Commissioner Don Garber did well to resolve the league's labour problems before they blew up. Last week Major League Soccer successfully negotiated a new Collective Bargaining Agreement that will last into at least 2014. The new deal adds quite a few wrinkles to player contracts, including raising the minimum salary to $40,000 USD and creating limited free agency. By all accounts both sides consider the deal to be a victory for their cause. However, settling this labour dispute before it became an actual work stoppage is the biggest win of all for the MLS and its fans. Why? Because with the notable exception of recalls or other Enron-like debacles, removing a product from the public consciousness is bad for business. Keeping a high profile, particularly for a relative luxury like a spectator sport, is crucial. It’s all about building consumer habits. If people know to turn on Seinfeld on Thursday nights, if they can rely on the fact that they’ll have 22 minutes of entertainment every week, they’ll keep coming back. If fans know they can flip on the TV and tune in to Toronto FC every Saturday afternoon, it’ll be built into their personal schedule. Breaking that habit severs the relationship between the league and its consumers. In particular, sports outside of the “big four” (football, baseball, basketball and hockey) have to do the most to protect their brand. Fringe sports like soccer, lacrosse, and auto racing have to make sure that they deliver a high quality product consistently, since they are fighting against leagues that already have generations of fandom. They’re trying to overcome decades, if not centuries, of habitual fandom. A TV blackout or, worse yet, a labour dispute would wreck any kind of progress the MLS has made in the North American market. Timing played a big role in this deal. Soccer is poised to step into the spotlight with the American side a serious contender in this summer’s World Cup. Further, David Beckham, the league’s biggest name, is going to be injured for at least the start of the season. They need to capitalize on the hype surrounding the World Cup as well as soldier on through Beckham’s time off. Missing even part of a season under those circumstances would’ve been disastrous. MLS also dodged some potentially negative press. The National Football League and the National Basketball Association seem destined for labour crises in the next two years, and there’s the very real possibility that sports fans are going to become pretty cynical about professional athletes. There is, after all, a recession on right now. As the National Hockey League Players Association found in the 2004 lockout season, earning millions of dollars playing a sport that you love and asking for more is not a particularly sympathetic stance, even if it is in comparison to billionaire owners. Distancing the MLS from these other disputes is the right play. Most of the specifics of the deal haven’t been publicly announced, but just the fact that MLS is guaranteed four more seasons of maintaining and, hopefully, building their public profile is good news. MLS Commissioner Don Garber is now poised to take advantage of the goodwill created by the World Cup, and maybe even take some of the NFL and NBA’s market share.